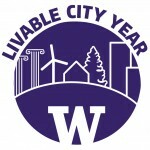 The Livable City Year program seeks to engage faculty and students from all three UW campuses and across many disciplines to help our partner city achieve significant, lasting improvements in the quality of life for its residents. Do you have a course that might lend itself to highly-supported, project-based community engagement and student learning? Do you have a project in mind that you would like us to propose to our partner community that would engage students via a university-based course or other student-credited learning opportunity, e.g., community practicum or independent learning? Please let us know in the form below and we will contact you with more information. This is an expression of interest and does not commit you to participate. For more information on the LCY program, see our Information for Faculty page. For more information on projects available with our current city partner, see the list of current projects. 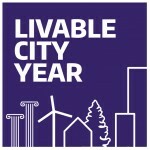 If you have any questions or would like to discuss the program with the UW LCY team, email uwlcy@uw.edu.